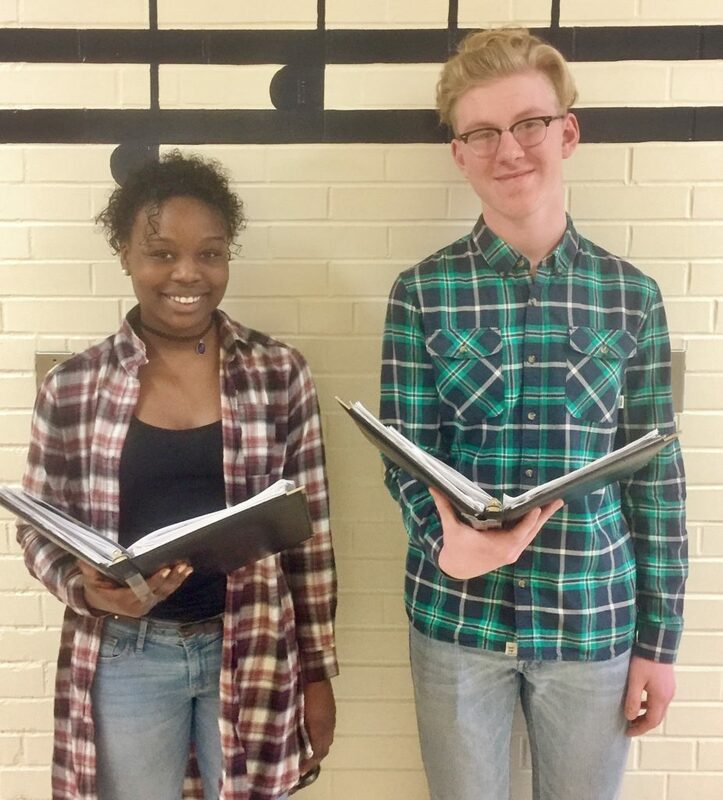 Two Penn Manor High School students, Sarah Stackhouse and Garrison Webster, have qualified to participate in the Pennsylvania Music Educators Association District 7 Vocal Jazz Festival in March. Students from high schools in an eight-county region auditioned for the festival, and the top four scores on each voice part – soprano, alto, tenor and bass – were selected to participate. Sarah, a Penn Manor senior, is an alto. Garrison, a freshman, is a bass. The festival will be held March 17 and 18 at Dover High School. Students will perform in a culminating concert at 2 p.m. March 18. Sarah Stackhouse and Garrison Webster.